This staple of backyards and parks with its close in dining was built for family style eating. Move it off the patio and onto the lawn. 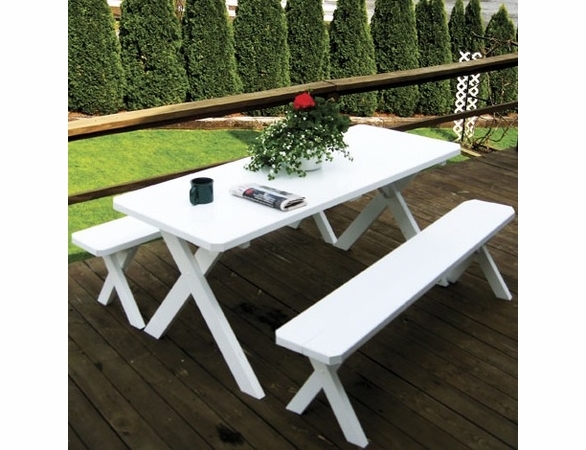 Our furniture is handcrafted in the USA, and built to endure the rigors of all types of weather. Entertain the whole family with our classic design. Paint to add a splash of color or stain for a more rustic feel. Quality furniture from A and L Furniture is hand made by Amish craftsmen in Central Pennsylvania who select each piece of wood for its grain and individual characteristics.  Table top boards come with no spacing between boards.